A collection of 15 ten-minute talks that can be read at a Craft meeting, perhaps when a lodge has little or no work. 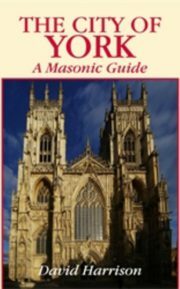 A valuable asset to any lodge, this book will help stop those meetings where only lodge business is dealt with. A good way to retain attendance since most brethren do not appreciate this – and who would invite a guest to such a meeting? It’s also important to make sure that you have a set of educational and inspiring talks to perform, just in case your candidate does not make it to the meeting. This is why the talks have been written so they may be read without any rehearsal. 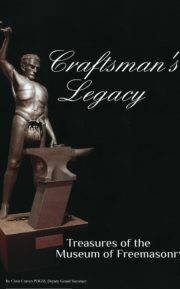 This book was written and designed to be the perfect set of easy to perform, straight forward and understandable talks. The subjects are all relevant to the Craft and not too heavy in content. Having tried and tested the talks on many occasions, the author has found they create interest and discussion, making for an engaging and often lively evening. Such talks can help to keep lodges active and to survive in somewhat difficult times. 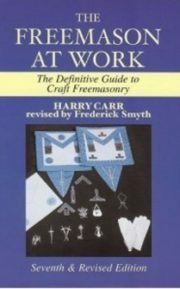 It seems that explaining more about the Craft can also assist in the retention of lodge members by keeping their interest. 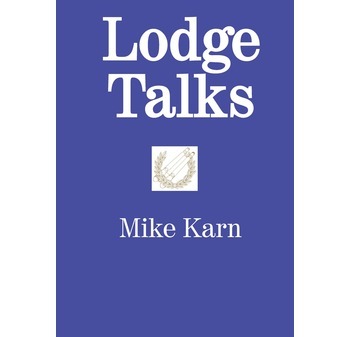 After a successful Police career Mike Karn was initiated into Freemasonry in 1987 and it became one of his main activities, which included researching and writing on Masonic subjects. He was Provincial Grand Orator for Middlesex and also a member of the Grand Lodge Oration Scheme Committee; and has produced many Masonic papers and orations – also giving many presentations. Mike Karn is a member of the Temple of Athene (Research) Lodge, as well as other Middlesex Lodges; and is, at present, responsible for various Middlesex Provincial projects and events. One of his main hobbies is music, being an Organist and Chorister, and is a member of the David Bonner (Musicians) Lodge. He is also a member of other Masonic Orders.